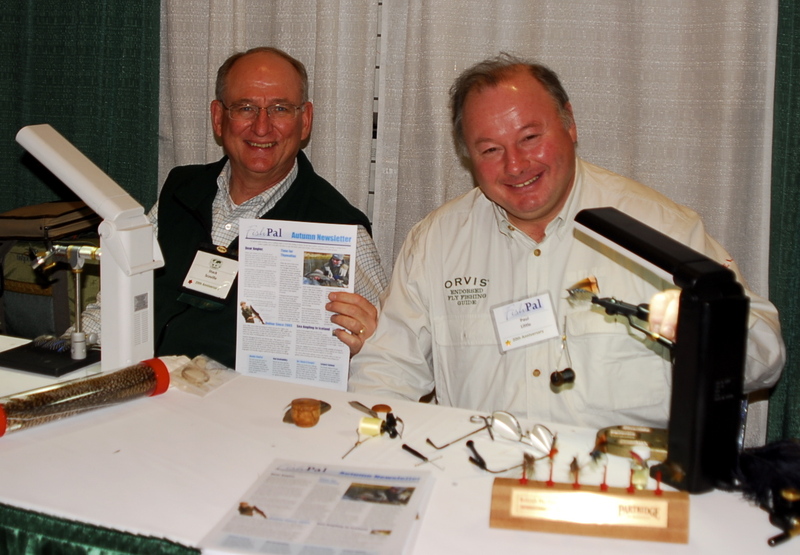 the Globe demonstrating skills from fully dressed classics to saltwater flies. 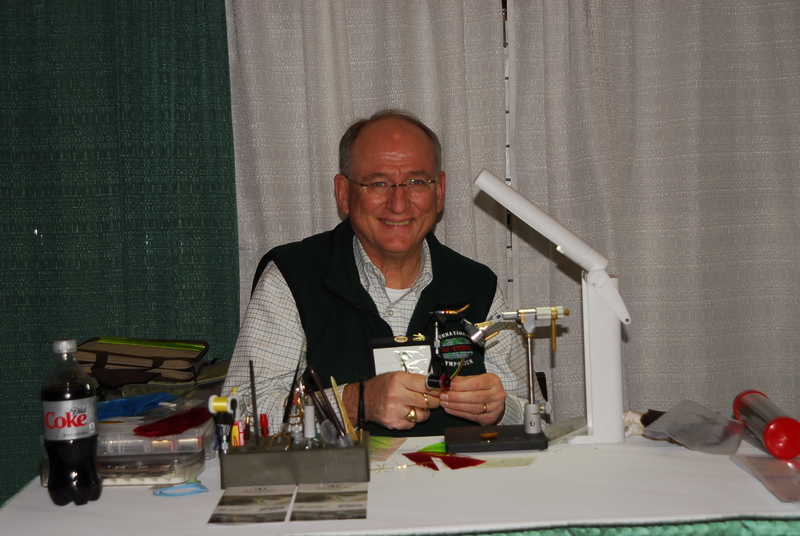 Bob Clouser was a fly shop owner in Pennsylvania who designed the fly for Small Mouth Bass on the Susquehanna River in 1989. 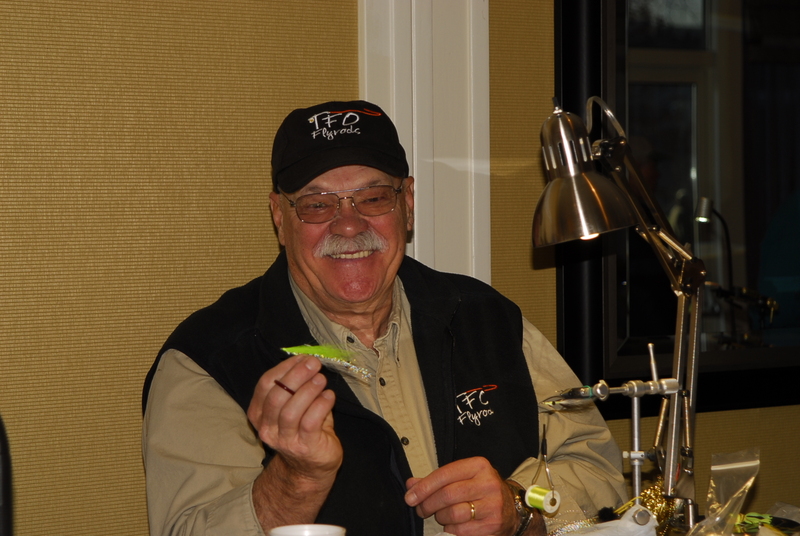 It was named by Lefty Kreh who has caught over 78 different species on the fly. Today it is best known as a saltwater baitfish pattern used in this country for Bass and for many other species abroad. It is dressed with the dumbell eyes lead eye tied on the underside of the hook shank to help prevent the fly snagging the bottom.